Zanaida Greceanii says that ACUM representatives are irresolute and rude. According to the PSRM leader, ACUM doesn't have a certain view over the future of the Parliament and all the citizens already understood it. Moreover, Greceanii thinks that PSRM should be the speaker of the Parliament, whereas the majority of the citizens voted for them. "The citizens already understood that ACUM don't have a certain idea. They don't want to make a compromise. Even though, we were always open to discuss. We are ready to negotiate anything, but there are certain things that we can't allow. I consider that we are the party who needs to chose the speaker", said PSRM leader within a talk show on NTV Moldova. Within the talk show, Greceanii highlighted the thing that ACUM members don't have any ideas of how should a country be governed. Their targets are not good for our country. Also, the socialist said they will no longer invite the socialists to discuss. "ACUM want to take the Government, but they have no idea how to govern a country. They think that only they can attract foreign investments. 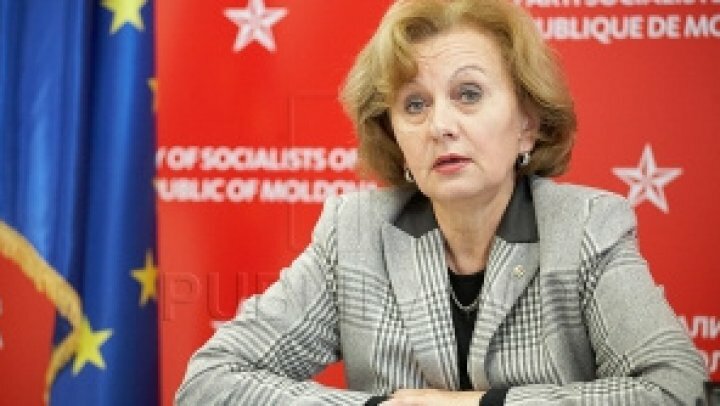 But, they should understand that a country can only survive if 30% of the budget is provided by foreign investments and loans", said Zinaida Greceanii. "We will no longer invite them. We are going to wait for their reaction. They dissapointed people and continue to do it. When you make some promises within the election campaign, you should take responsibility and obey your promises. We counted on their rationality, because we should not allow snap election to occur. In case they don't accept our conditions, they are guilty of throwing the country into snap election", concluded PSRM leader. Why Socialist Party can't rely on bloc ACUM and its leaders? What is Socialist's stance on ruling coalition with Democratic Party? Krasnoselski wants to remove the term "Transnistria": I recommend to call it "Pridnestrovie"